Recently "The King of Horror" -- Stephen King -- wrote an article stating, "Most summer movies are hell on earth. Fortunately, heaven is only a rental away." We at Needtovent couldn't agree more. 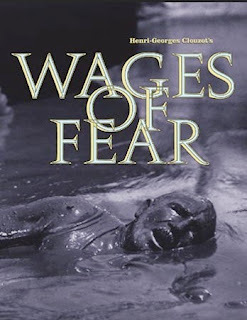 Other than a few exceptions, we think this is a marvelous selection of divergent and wonderful films, especially his inclusion in first and second place two often-overlooked classics -- SORCERER and WAGES OF FEAR. 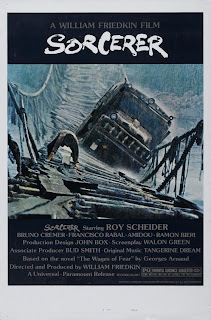 Kudos to King for recognizing their ability to generate incredible suspense -- if you have never experienced a Sphincter Pucker Factor of 9.9, then you definitely must see one or, preferably, both. Personally, we would not have included 1941, CUJO or DIE HARD, although they are admittedly fine films which do entertain. (We defer on MR. PEABODY AND THE MERMAID since we haven't seen this one.) And, of course, we would not have chosen THE BLAIR WITCH PROJECT -- a remarkable cultural phenomena, but as a motion picture we find it terribly lacking. Replacing the aforementioned four titles we suggest -- THE GOOD, THE BAD AND THE UGLY, BUBBA HO-TEP, DETOUR (1945) and ONE FLEW OVER THE CUCKOO'S NEST. Then again, yesterday we might very well have listed I WALKED WITH A ZOMBIE, A VERY LONG ENGAGEMENT, THE WORLD'S FASTEST INDIAN and KING OF HEARTS. That's the fun thing about Top 20 Lists (or any ranking of favorite movies -- there are so many great ones we find it impossible to be absolute). Send us your list -- Needtovent would love to see what you think.